Mom’s song gives peaceful vibes! 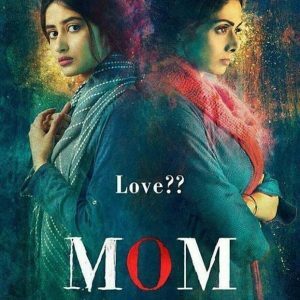 Sajal Ali is debuting in Bollywood with Mom. The star will be seen with none other than Sridevi playing her Mom and Adnan Siddiqui her dad. The movie looks like a mystery from trailer. It also stars Akshay Khanna and Nawaz ud Din Siddiqui. She looks breath-taking in the trailer and shines on the poster as well. Sajal looks amazing in every frame and as from her previous performances we are certain she will shine in this one too. We are totally looking forward to the movie!